Since starting my study and practice of Buddhist teachings I’ve been aware of three broad strands of thought cutting across the traditional divisions (Theravada, Mahayana, Vajrayana, etc.) and openly expressed by celebrities within the modern day Buddhist Establishment. One group of celebrities appear to be arguing that while some doctrines are more advanced than others, they are all essentially a matter of historical fact. 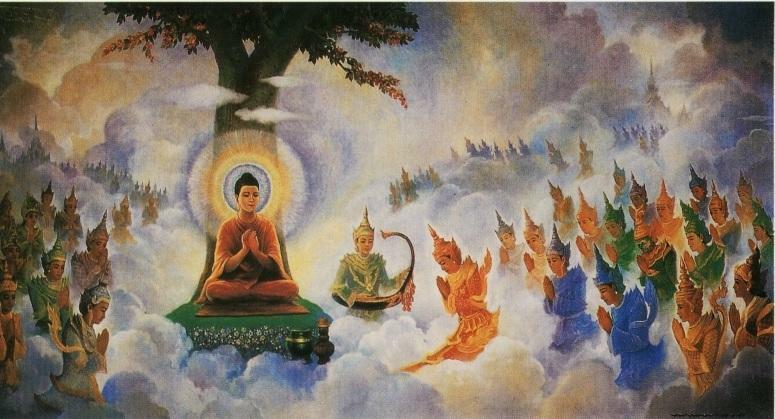 The Buddha, early disciples like Sariputta and Mogallana, and later sages like Shantideva and Nagarjuna, were not only enlightened but capable of interacting with deities from other existential realms and able to perform such miracles as teleportation and levitation and shooting fire from fingertips, etc. We’re not seeing such things today, however, because Buddhists generally no longer practice rightly and hard enough to purify their minds. It’s not the teachings but the practitioners who are at fault for not perceiving correctly. They need to have more trust and faith in their spiritual guide. At the other extreme are the celebrities telling us that the surviving ancient scriptures are “corruptions” of the “historical” Buddha’s teachings. We should ignore the mythology and rituals. Forget about about miracles, gods and other worlds. Forget about kamma and rebirth. Just meditate for the sake of wisdom and peace of mind in this one and only life. You can have your samsaric cake and eat it if you simply observe your own mind and don’t get screwed by the religiosity. In the middle are the celebrities who tell us that we should keep an open mind with regard to what is said in the scriptures – unless science actually disproves it, of course. Embrace whatever teachings we find useful and put aside for now those which are causing doubt and wavering. It sounds reasonable enough advice but actually it’s very easy to get muddled and trapped when cherry-picking Buddhist teachings according to our likes and dislikes. I got into Buddhism originally because I wanted to believe what I’d read about it being not a religion but “a philosophy and way of life” taught by “just a man” with a world view like some 21st century scientist rather than some Brahmin or Jain living 2500 years ago. What a surprise when I first walked into a meditation center and was told to prostrate myself before a golden Buddha statue and acknowledge him as “unsurpassed teacher of humans and divine beings”! What a surprise when I later listened to monks from another tradition telling me that pujas and other rituals were simply “popular Buddhism” for unsophisticated minds! Had I not already been aware that competing perspectives and paradigms also exist within the natural and social sciences I would probably have thrown up my hands and gone my own way long ago instead of persevering and trying to make sense of it all. Most Western newbies will struggle to find a reliable teacher and be condemned to window shopping and blind picking and mixing. To be honest I’m getting fed up with sounding like some dogmatist whenever I try to explain that the evidence of scripture points to Buddhism having always been a religion (if we understand the term religion to mean more than just some theistic belief in a universe creator) rather than starting out from day one as a simple philosophy without any reference to myths, rituals, rules and institutions. So do the scriptures matter or not? When people enquire about Buddhism or make statements on the authority and standing of Buddhist scriptures are we not obliged to point out the controversies and any apparent contradictions instead of pretending they don’t exist or don’t matter? 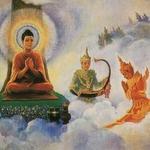 This entry was posted in Buddha & Buddhism, Commentary and tagged buddha, buddhism, dhamma, early buddhist texts, religion, teachings. Bookmark the permalink.